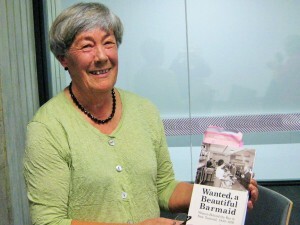 In a public talk to the Friends of the Turnbull Library on 20 March 2014, Wellington researcher and historian Sue Upton presented some of the images and stories from her book, Wanted, a Beautiful Barmaid: Women behind the bar in New Zealand 1830-1976, which was published by Victoria University Press in 2013. Simon Nathan talked to FoTL members on 13 March 2013 about ‘The changing face of James Hector’. Simon has been involved in a major project of transcribing letters written by or about James Hector, and agreed to give us more information about how to access the letters.